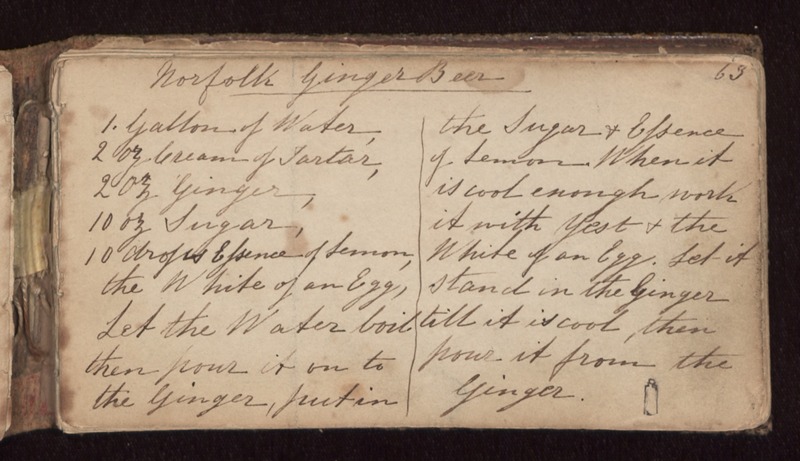 Norfolk GingerBeer 1 gallon of water, 2 oz cream of tartar, 2 oz ginger, 10 oz sugar, 10 drops essence of lemon, the white of an egg, Let the water boil then pour it on to the ginger, put in the sugar & essence of lemon. When it is cool enough work it with yest & the white of an egg. Let it stand in the ginger till it is cool, then pour it from the ginger.